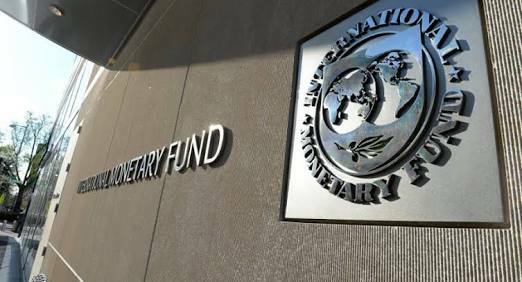 The International Monetary Fund (IMF), has issued a word of caution to Nigeria and other African producers. The multilateral body made this known during the release of its Regional Economic Outlook for Sub-Saharan Africa. IMF advised Nigeria and other oil producers to take advantage of rising oil prices to diversify their economies. OIL-EXPORTING COUNTRIES SHOULD CONTINUE TO ADJUST THEIR FISCAL POSITION AND ADVANCE ECONOMIC DIVERSIFICATION, TAKING ADVANTAGE OF THE RESPITE PROVIDED BY THE UPTICK OF COMMODITY PRICES, WHILE TAKING CREDIBLE MEASURES TO BOOST NON-OIL REVENUE AND ENHANCE THE EFFICACY OF PUBLIC SPENDING. The IMF had in April last month gave a similar warning when it released its World Economic Outlook report earlier this year. The body also flagged the country’s rising interest rate payment to revenue ratio which was one of the highest in sub-saharan Africa. The Federal Government embarked on several bond raises last year in a bid to fund its obligations. Alongside Angola, Nigeria was one of the few countries where non-performing loans were concentrated in a few banks. Global crude oil prices have hit highs last reached in 2014, due to geopolitical tensions between the United States and Iran. Brent Crude oil fixtures yesterday hit $76 per barrel. Light sweet crude which is Nigeria’s grade is currently over $70 per barrel, a huge improvement from the $52 low it hit this time last year. For Nigeria, the rebound in crude oil prices means crude oil reserves are forecast to hit a two-year high of $50 billion before year-end. Improved reserves mean more months of coverage for imports. Nigeria is highly dependent on crude oil both for revenue and as its major foreign exchange earner. For the government, this is its main source of income. The drop in both production volumes and global crude prices led to the Nigerian economy slipping into recession in 2016 and the country experiencing a foreign exchange crisis. For the private sector, increased crude oil income filters down to both availability of foreign exchange (Dollars in particular) and stability in the Naira-Dollar exchange rate. Why is the IMF sounding this warning? The recovery remains fragile as Nigeria’s annual GDP Growth rate (Q1-Q4 2017) was 0.82% compared to a contraction of -1.58% in 2016. Nigeria’s real GDP growth for 2018 is forecast to hit 2.1% in 2018. This is far lower than the country’s population growth rate.